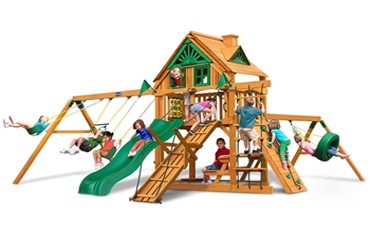 The best swing sets on the market provide enjoyable, safe backyard fun for toddlers, school-aged children, and tweens. 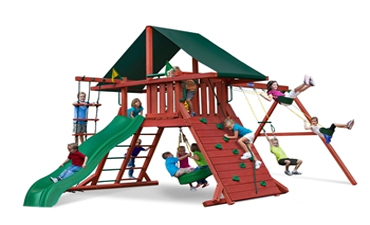 PlayNation swing sets are built with the best materials possible. 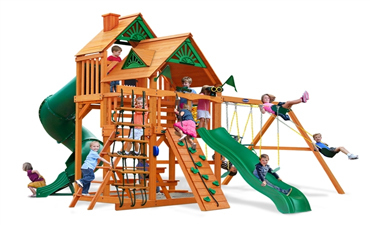 We know that with each play set, we are building life-long memories that your family will share together for many, many years. 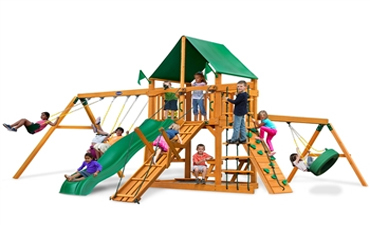 Wooden swing sets are sturdier than most metal swing sets, supporting around 50 pounds more per child than typical outdoor play sets. 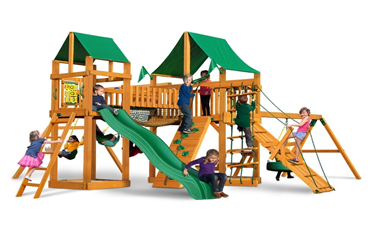 Wooden sets made with pressure-treated lumber can have guarantees from 10 to 25 years, assuring that your quality playset will not need to be replaced. 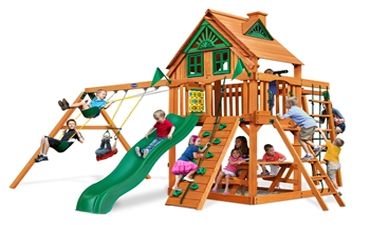 Wooden swing sets are also more versatile in a backyard setting as opposed to metal or plastic, and, with all the different stains and sealants on the market, you can have a one-of-a-kind play set.